Is Andy Cosby working on a new Diablo series for Netflix? NEXT | What does your ideal Heritage Armor look like for your race of choice? If you’re paying attention to the rumors of Diablo series in the works at Netflix, this article from PCGamesN might pique your interest. The circumstances are interesting — before he took down his tweets, Andy Cosby (screenwriter for the upcoming Hellboy movie and co-founder of Boom! Studios) tweeted that he was in final talks to be the showrunner for a Netflix animated series set in the Diablo universe. Now, the internet being what it is, taking down his tweets didn’t keep other people from noticing said tweets or screencapping them — which is where PCGamesN comes in. Clearly, the fact that the tweets were taken down mean that this isn’t news someone didn’t want out there, be it Cosby himself, Netflix, or Blizzard. But we’re now to the point where it’s hard to ignore that someone with actual industry credibility has weighed in on the possible existence of a Diablo TV series. Cosby created the TV show Eureka, which lasted for five seasons on UPN, and he’s working on the new Hellboy movie. For him to come out and say he was in final talks to run the show is a huge deal. Of course, this isn’t the same thing as him tweeting this and then leaving the tweets up — the fact that they’ve since been taken down could mean that talks fell through, or that one or both of the corporate entities involved objected to him posting, or just that he thought better of the tweet. But it definitely feels a lot most likely that Netflix is following in the footsteps of its own Castlevania series and is bringing Sanctuary and the Eternal Conflict to life via an animated series of some kind. Now, if this is the case, it almost guarantees an announcement at BlizzCon. I just hope all of this buzz around the franchise means that there’s more than a Switch port of Diablo 3 in store for us. 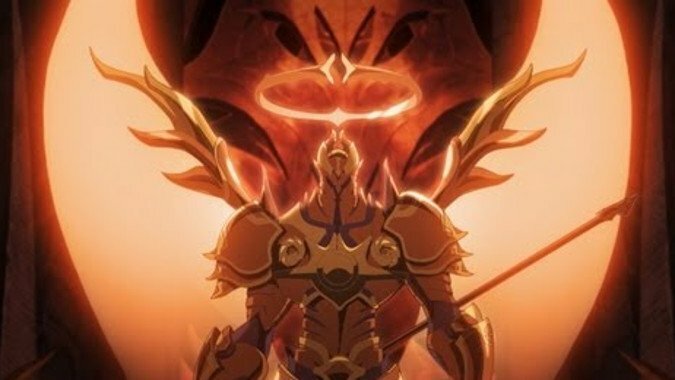 But I’m very excited about the idea of a Diablo animated series — the Wrath short from the launch of Diablo 3 showed that the medium would work very well for this kind of dark, brooding storytelling. Not much longer now to find out, I suppose. BlizzCon is in less than two months.